I actually had a discussion yesterday about this topic. Which is the most memorable Vietnam vet in any movie? De Niro in Taxi Driver? 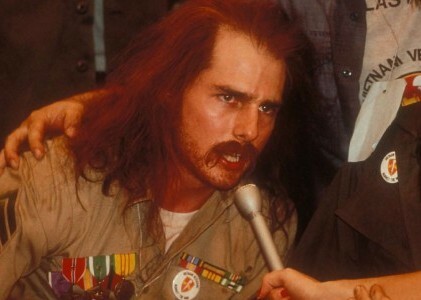 Ron Kovic in Born on the 4th of July? Or even Rambo? The one I prefer is Jacknife. He is the most touching and likable. But I think not necessarily the most memorable. The most memorable for me is de Niro in Taxi Driver. Anyway, I want to hear what you think, which is the most memorable and which one did you like the most? One little confession, I haven’t seen the last four… Did I miss something?